Badab Soort or badab surt is a unique staircase fountain in Mazandaran province from Iran , located in the village of Orost (Owrost), in the city of Sari. 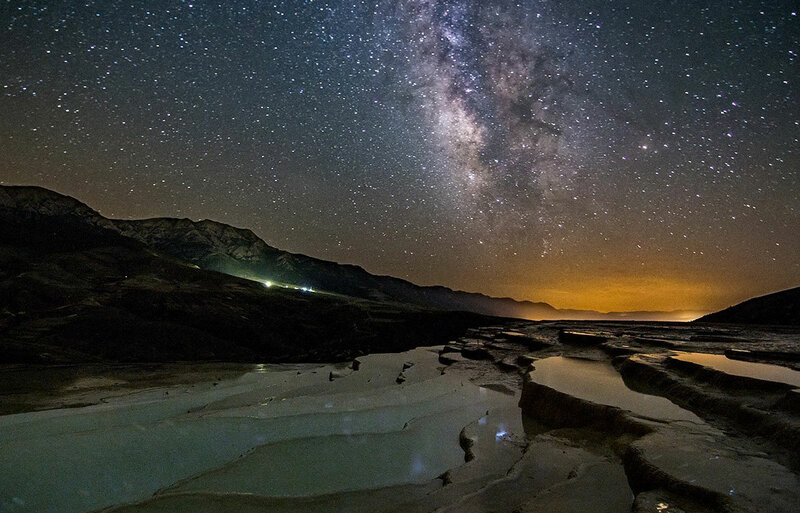 every year, many tourists travel to the iran for visit this place. The historic and beautiful historic village of Owrost is composed of several old neighborhoods, where Surt is one of them. In the past, the Zoroastrian neighborhood was called Sourt Lengeh. 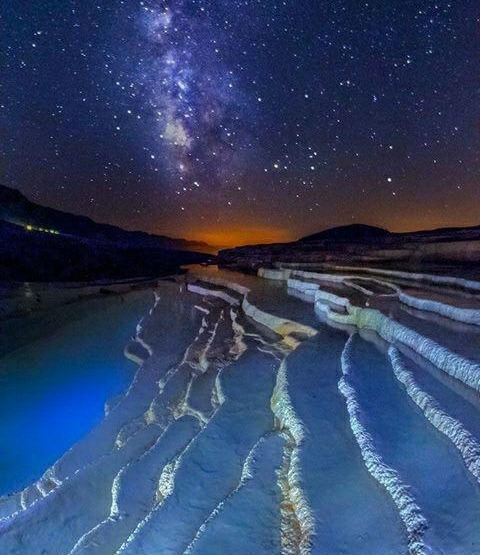 It was said that the Zoroastrians were singling out above these springs with special customs and worship of God, which later on these Zoroastrians converted to the holy ritual of Islam. BADAB means carbonated water (or gassed water) and SOORT means the intensity of the effect. These fountain are at an altitude of 1841 meters (6,040 ft) above sea level. Around the springs coverd the wild barberry shrubs. badab-e surt weather: The temperature is at least -7 ° C in the coldest month of the year and maximum 35 ° C in the warmest month of the year! This site contains several springs of completely different water in terms of color, smell, taste and volume of water. The first and deep spring is salty and the diameter is about 15 meters deep, its water is considered to have medicinal properties, especially as a cure for rheumatism and some types of skin diseases and skin conditions. 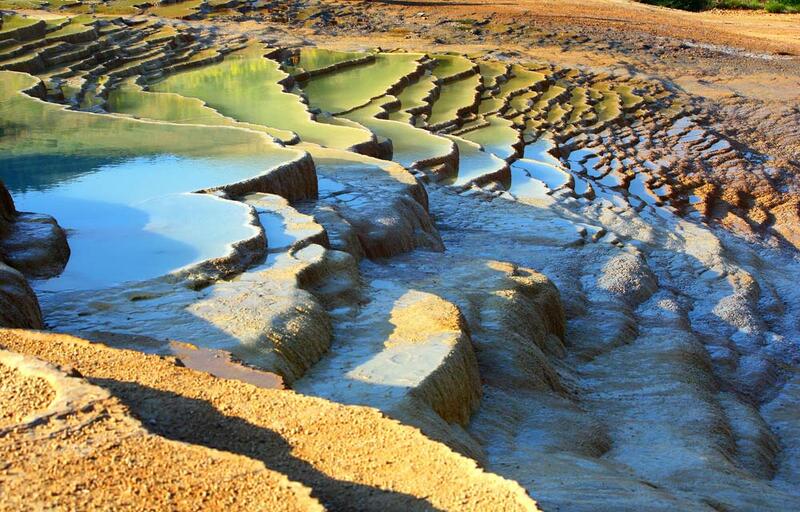 The second spring, which is higher and the northwest of this spring, is sour and has red and orange water mainly due to the large iron oxide sediments at its outlet. given the complex geological structure, these springs are not drought conditions, and rumors of drought are completely unfounded. 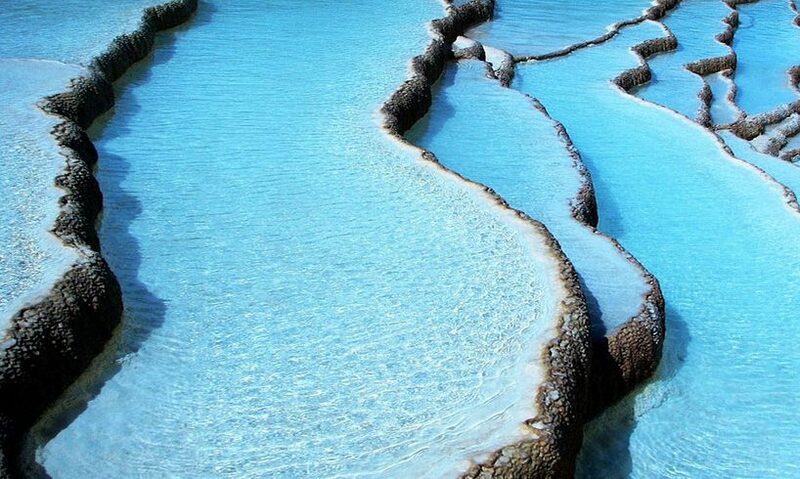 In Turkey, there are similar types of springs called Pamukkale in the form of calcareous white sediments, which have less therapeutic properties than orost sources. The best time to travel to this springs is (ordibehesht) May.